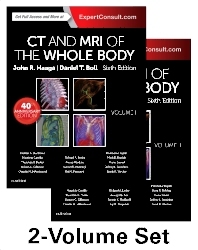 Now more streamlined and focused than ever before, the 6th edition of CT and MRI of the Whole Body is a definitive reference that provides you with an enhanced understanding of advances in CT and MR imaging, delivered by a new team of international associate editors. Perfect for radiologists who need a comprehensive reference while working on difficult cases, it presents a complete yet concise overview of imaging applications, findings, and interpretation in every anatomic area. The new edition of this classic reference — released in its 40th year in print — is a must-have resource, now brought fully up to date for today’s radiology practice.